Sophia's Travel an award winning Travel Agency is proud to present this unique experience. If you ever wanted to experience the Aurora Borealis (Northern Lights) or whale watch this is for you. We offer excellent possibilities to see Northern Lights throughout fall and winter. Humpback and killer whale watching season starts in December. 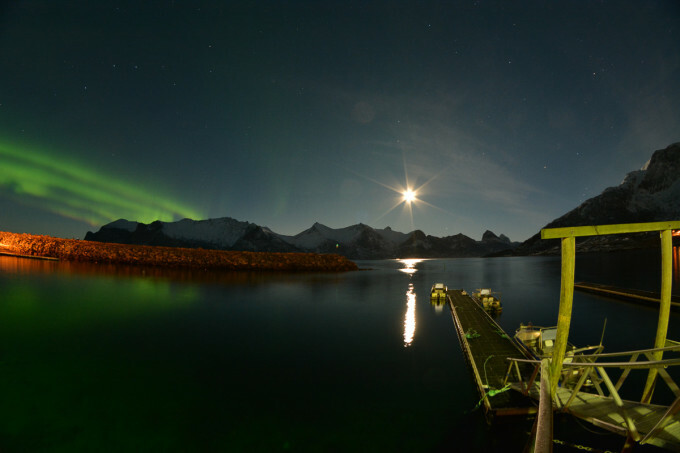 The whales stay by the coast of Senja until early February. Some of the winter activities can be done on your own, but in order to make most of your stay we recommend our 3 days Winter Activity Package. 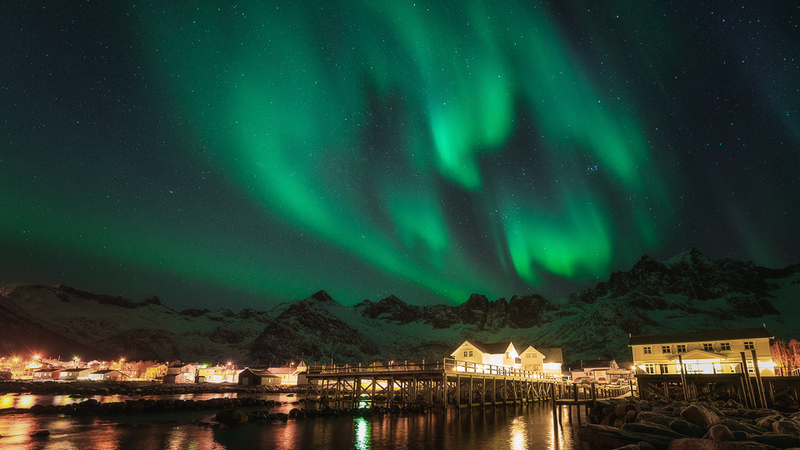 The activity package will let you experience Northern Lights, observe humpback and killer whales and be close to untouched Norwegian nature and marine landscape. Not-included: Ticket for Express Boat (NOK 290) and Hurtigruten (NOK 190) for round trip Tromsø – Finnsnes. Mefjord Brygge is developing very dynamically. Our latest investment is a building consisting of three Northern Lights Apartments. It has been opened in 2016. The apartments are located just by the fishing piers with boats and facilities. Each of the apartments has access to a spacious terrace facing the ocean (offering splendid northern lights and whales viewpoint in winter, as well as midnight sun view in summer). Free Wi-Fi, parking and Television. Very comfortable and modern, each of the apartments has 5 bedrooms, big living room, spacious, fully equipped kitchen and 2 toilets.